Probably the most popular day out from Hong Kong, Stanley Village Hong Kong is just a forty-minute bus ride from Central. 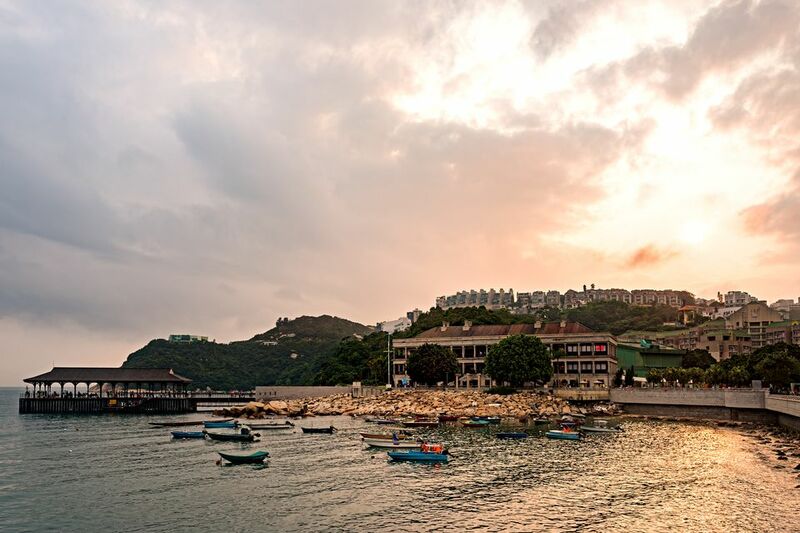 Once a quaint fishing village, this seaside town is popular with moneyed locals. It hosts a string of restaurants and bars along its waterfront promenade and has a pair of beaches and a couple of sights worth seeing. It's a great way to escape the urbanity of the city, and if you're in town for more than a few days well worth visiting. If you can, try and come during the week when it is less crowded. Note that Stanley is only served by buses and light minibusses and not by the MTR. Stanley Market – Firmly geared to tourists, Stanley Market is generally overpriced and nowhere near as good value for shopping as Hong Kong's best markets. However, the rabbit warren of streets is attractive, and during weekends is positively bursting with enough shoppers to lend plenty of atmospheres. Stanley Market is the best place for picking up T-shirts and keyrings, as well as a piece of wood with your Chinese name elegantly inscribed. Murray House – Amazingly moved here brick by brick from Central, this beautifully restored former colonial barracks now hosts restaurants, bars, and shops. The verandahs are a great place to soak up the views onto the village. The various columns stood outside are the few pieces that the architects couldn't slot back into the jigsaw. You'll see this columned building standing at the end of Stanley Main Street. Stanley Main Beach – Not the best beach in Hong Kong, but it will do for a day. The beach is sandy, the water reasonably clean and armed with shark nets, but it does tend to fill up at the weekend. Stanley Main Beach is set on the far side of the town but reached on foot in just ten minutes from Stanley proper along Stanley Beach Road. Stanley Military Cemetery – The final resting place for many British, Canadian and Hong Kong soldiers who died defending the then colony against invading Japanese forces in 1941, or in the subsequent Japanese occupation. The graveyard is a moving and lasting memorial to their heroism. There are also graves dating back as far as the 1850s. The graveyard is along Wong Ma Kok Road. Former Stanley Police Station – A testament to Hong Kong's colonial past, and tasteless approach to heritage conservation, this cool white colonial structure has been turned into a Wellcome supermarket. Luckily, amongst the eggs and the toilet rolls, the original interior has been maintained. The building is opposite the bus stop. Po Toi Island - One of the best day trips in Hong Kong actually leaves from Stanley. Po Toi Island is the southernmost of Hong Kong's 200 plus islands. Po Toi has a population of just 200 clinging to these wave-washed rocks in the sea. It's got some fantastic hiking, with views over the South China Sea, and the local seafood restaurants serve up fresh fish straight off the local fishing fleet. At weekends you can grab a local ferry service from Blake Pier in Stanley​.